Peter Kennard is Britain's foremost political artist and has been at the cutting edge of global political image making since the Vietnam War. 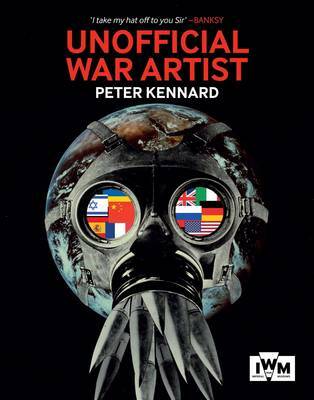 Unofficial War Artist brings together the best of Kennard's work from 45 years of his career and accompanies a major retrospective of his work at IWM London, showcasing hundreds of his images related to war and conflict. Throughout the book Kennard's works are presented in their wider context with accompanying facts, data, newspaper clippings, United Nations reports, and testimony from both victims of war and its instigators. The result is a stark and powerful statement about the devastating impact of war and conflict.